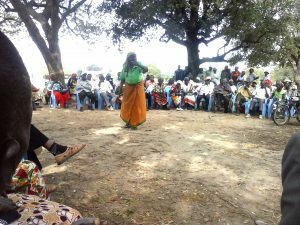 Residents of Mui Basin blocks A,B,C & D met at Mutitu playing ground in Kitui County to discuss formation of CBOs to articulate their opposition to coal mining in Kitui County. KIMUMA CBO for Mutitu, Zombe Together as One CBO, a women CBO and Mui Community Foundation were proposed. The meeting was attended by chiefs from all bocks except Zombe. All Village Administrators from Mutitu Location were also present. Other attendees were unelected leaders from the region. The community had a very successful conversation. Citizens had opportunity to freely exchange views on challenges they have been facing in regard to the proposed coal mining process. The resolutions was very clear. NO COAL MINING IN MUI BASIN! 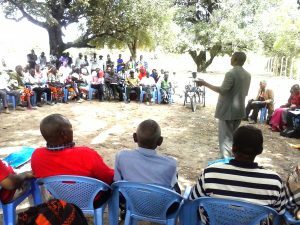 The community called out the Kitui County government for going against the Paris international climate change agreement resolutions and the Africa Mining Vision. They noted that Kitui County government is in the process of developing 2018 climate change regulations which regard coal as outdated. The Kitui County Government can mine anything else in Mui but not coal! The community expressed their support for development and extractions of all other minerals present in Kitui County apart from coal.